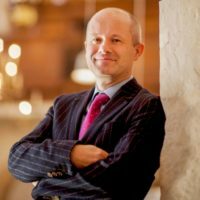 In addition to his duties as Organist & Master of Choristers at Portsmouth Cathedral, Dr. David Price serves on the committee of RSCM Portsmouth and is a member of the Council of the Royal School of Church Music. The University of Portsmouth conferred David Price with an Honorary Doctorate of Music in recognition of the significant contribution he has made to the development of music at the Cathedral and for his contribution to the cultural life of the city. In 2009 his St John Passion for Good Friday was published by Encore Publications in a series of the gospel passions alongside John Scott, Philip Moore and Richard Lloyd. In 2013 he was elected to an Honorary Fellowship of The Guild of Church Musicians.